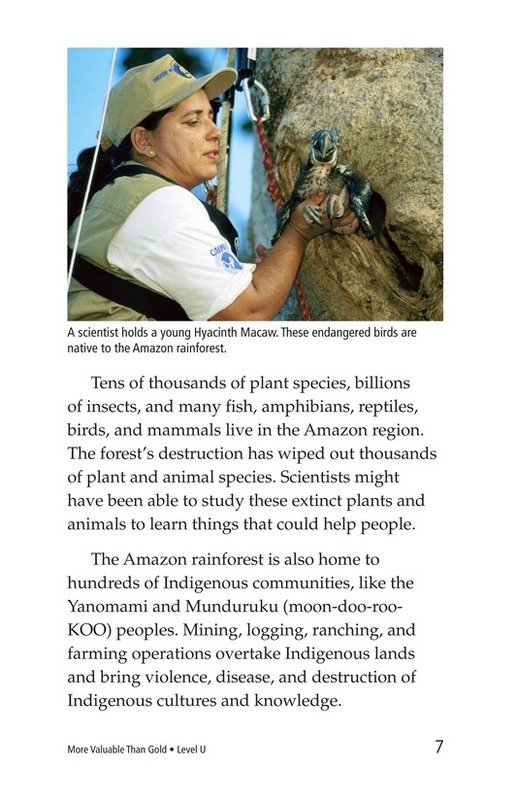 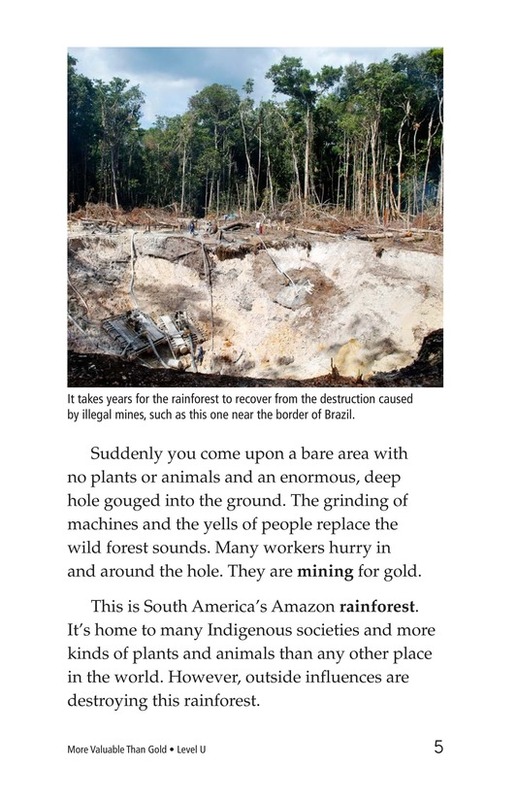 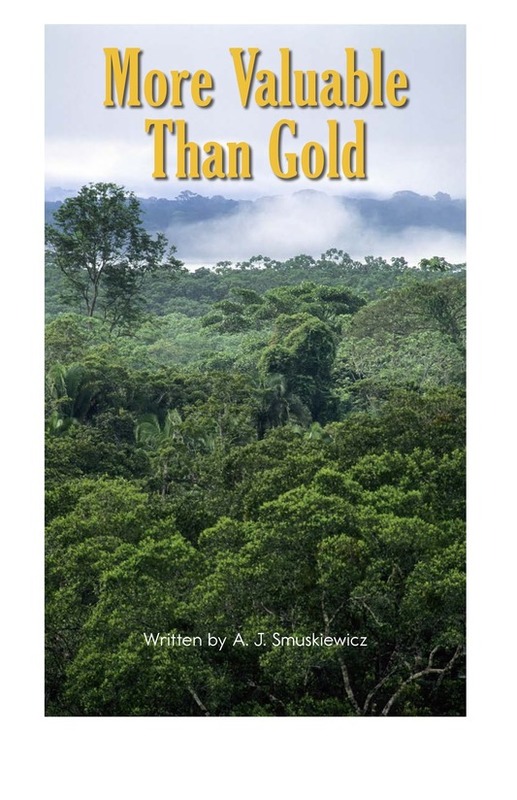 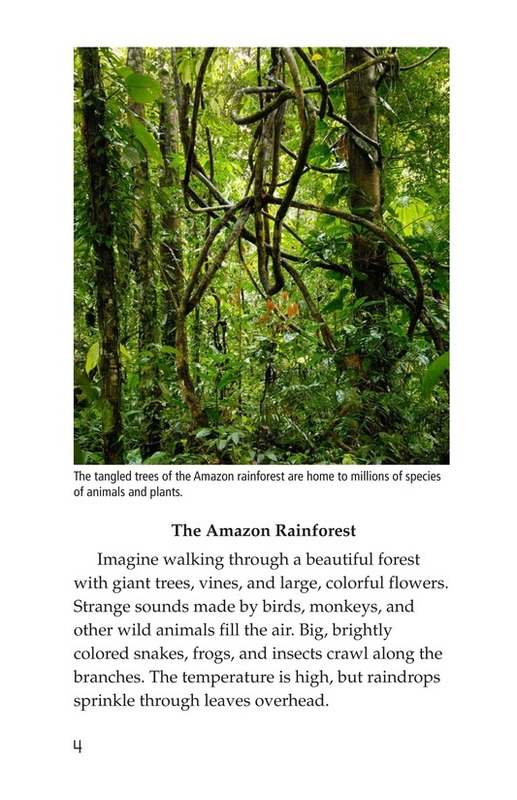 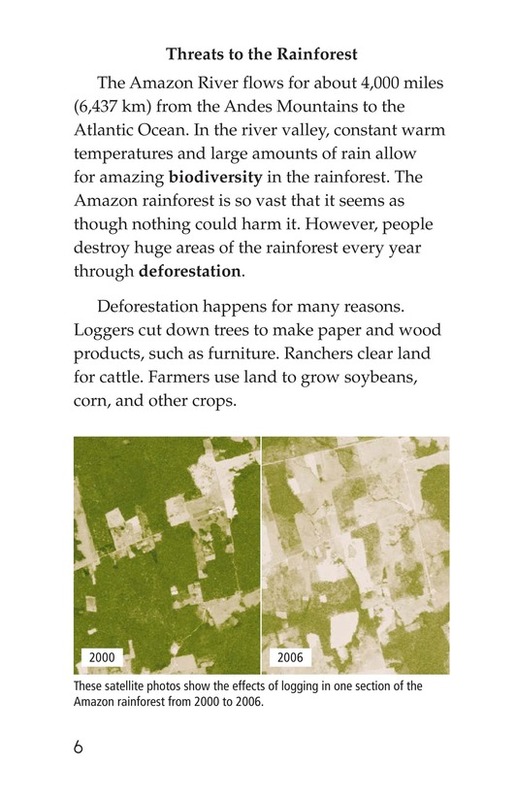 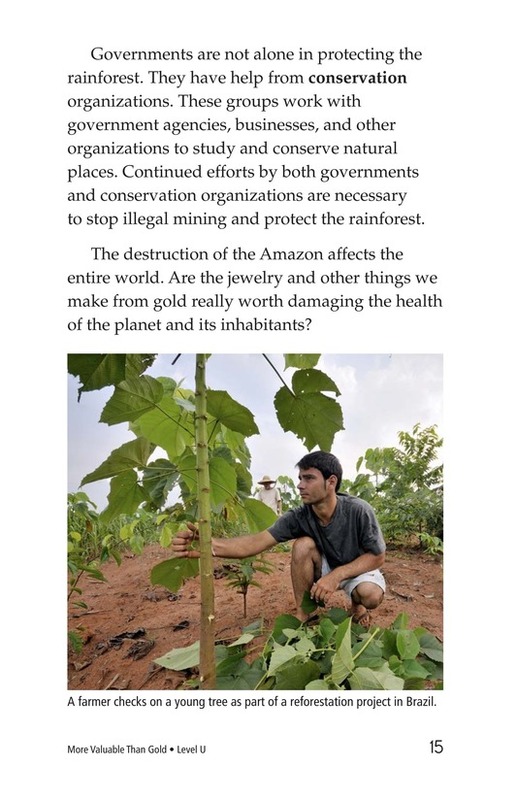 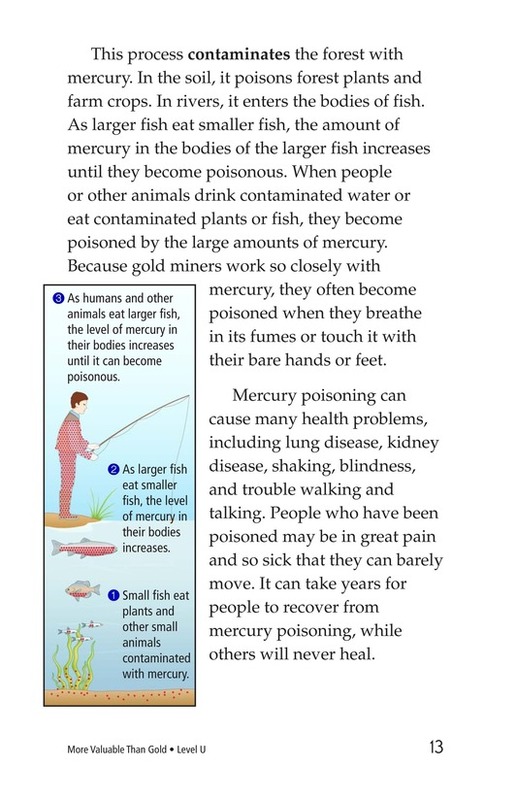 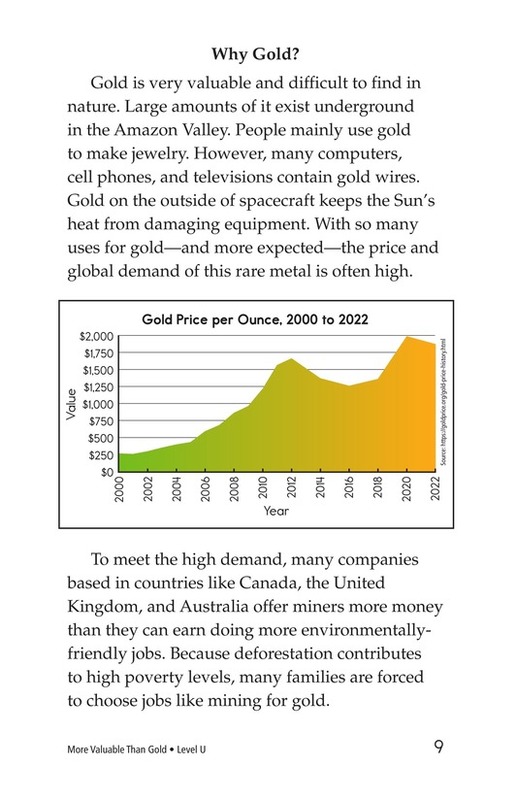 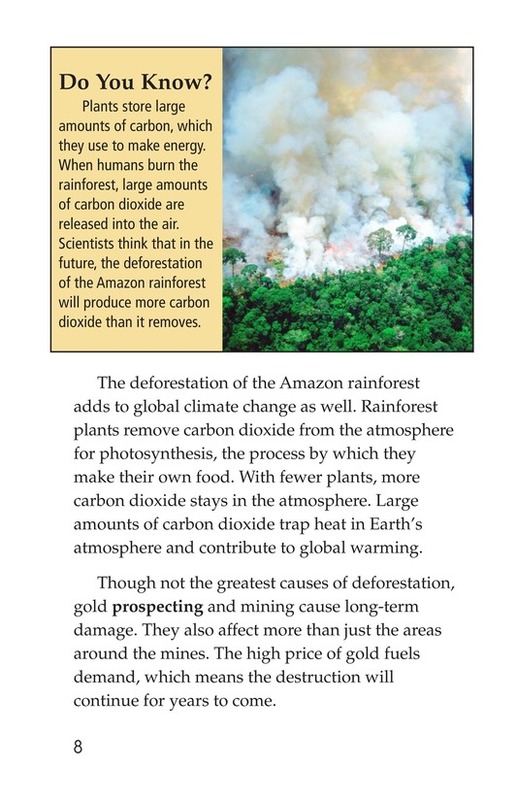 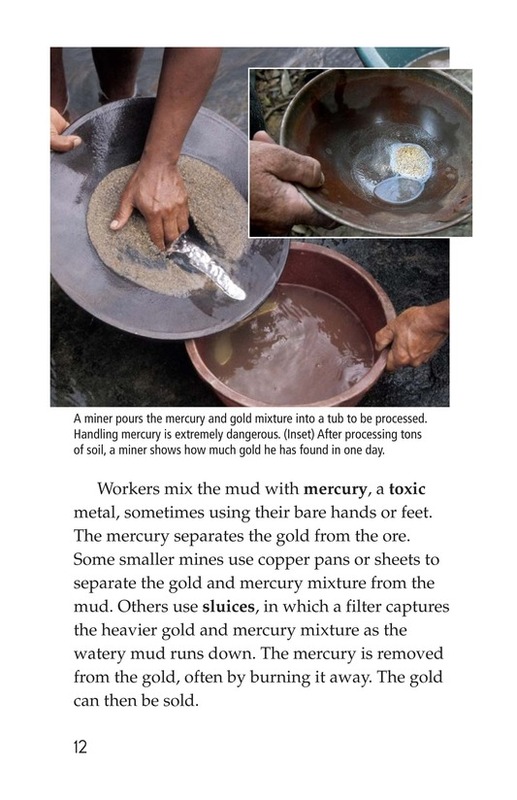 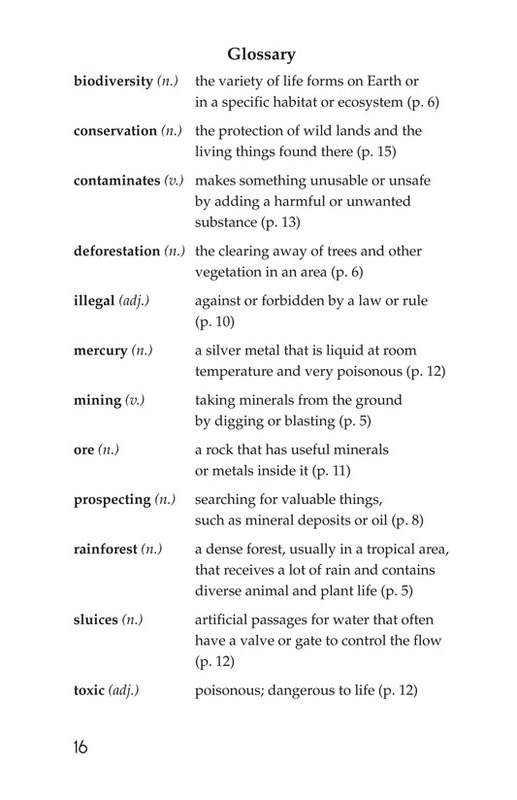 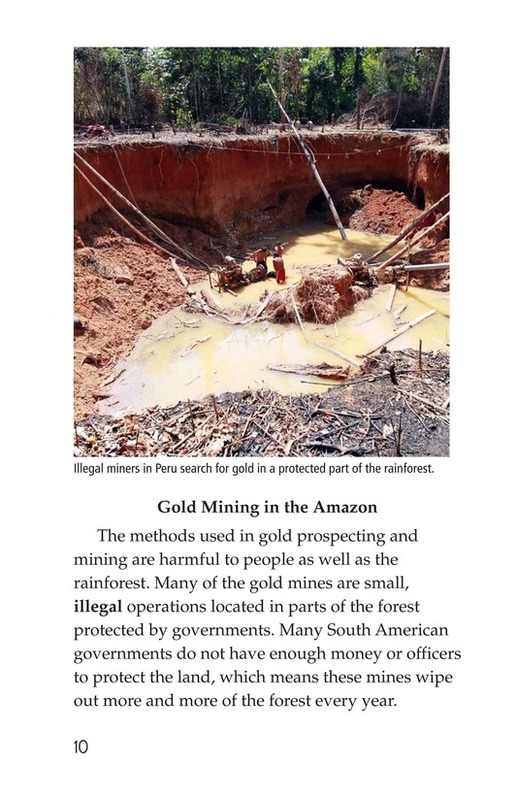 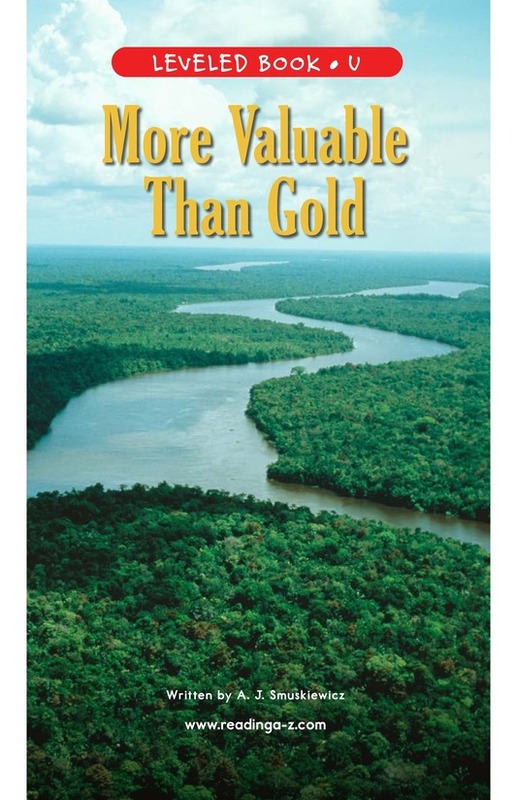 More Valuable Than Gold argues that the gold gained from illegal prospecting and mining in the Amazon rainforest is not worth the deforestation, mercury contamination, and loss of biodiversity it causes. 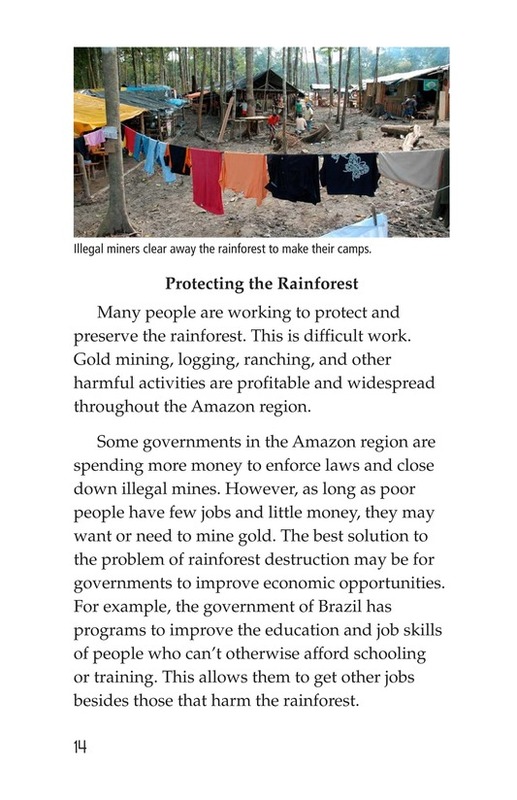 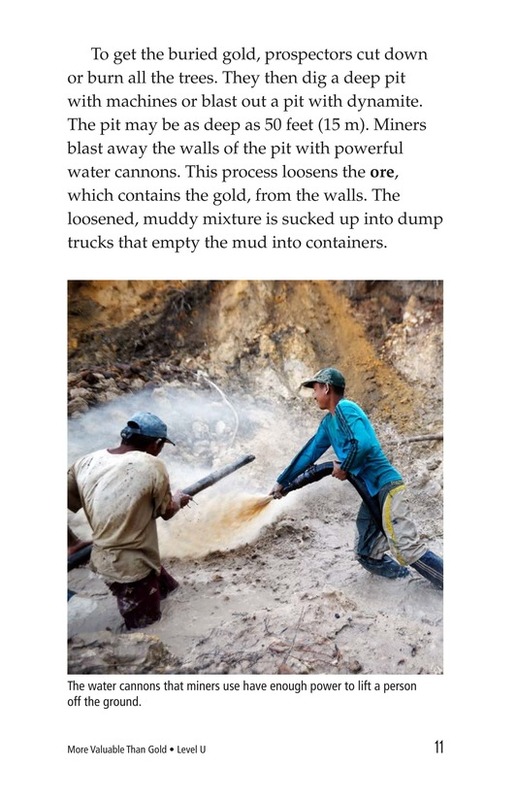 The author also discusses some reasons why people mine illegally and possible solutions. 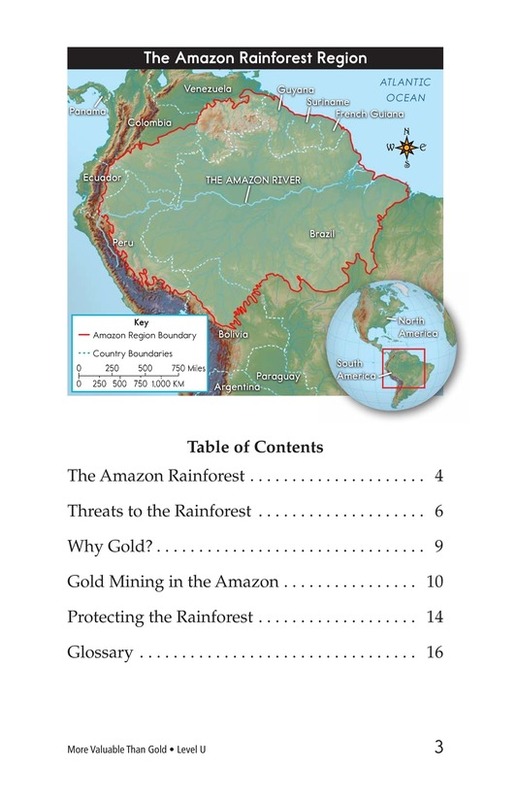 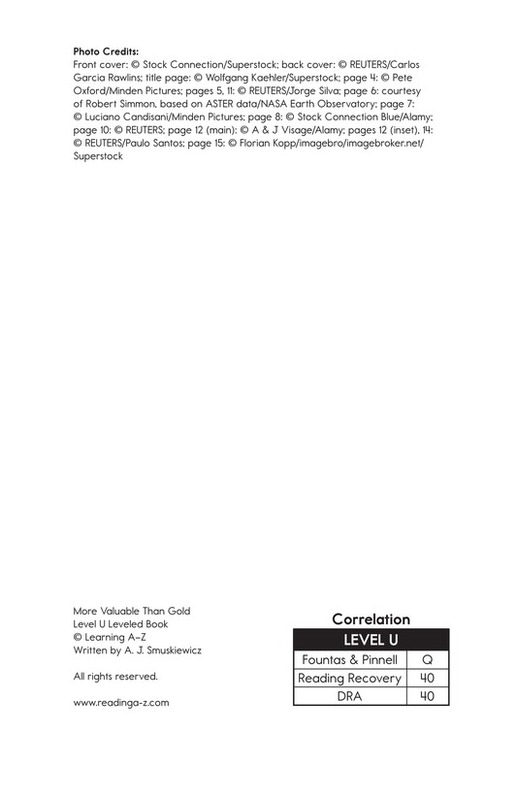 Photographs, maps, and graphs support the text.